Sweetened with apple butter, chewy from steel cut oats, and studded with chunks of apples, these make ahead delights are a quick breakfast, afternoon, or bedtime snack. No muffin pan? No problem! Ever look at something familiar with fresh eyes and see it in a whole new way? That happened to me with this recipe. 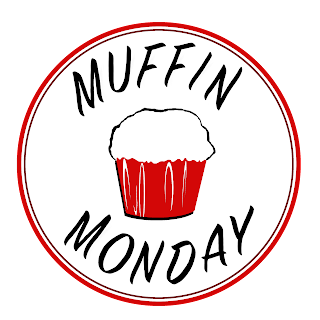 Each month I join the Muffin Monday bakers to bring you an original recipe using seasonal ingredients. When I saw Karen's Blueberry Muffin Top recipe, that she comprehensively baked on a cookie sheet in addition to her muffin top pan, I started thinking . . .
Why do I have to bake my muffins in a muffin pan? What if I make a muffin batter and just scoop it out onto a cookie sheet? I did it. The world did not end. 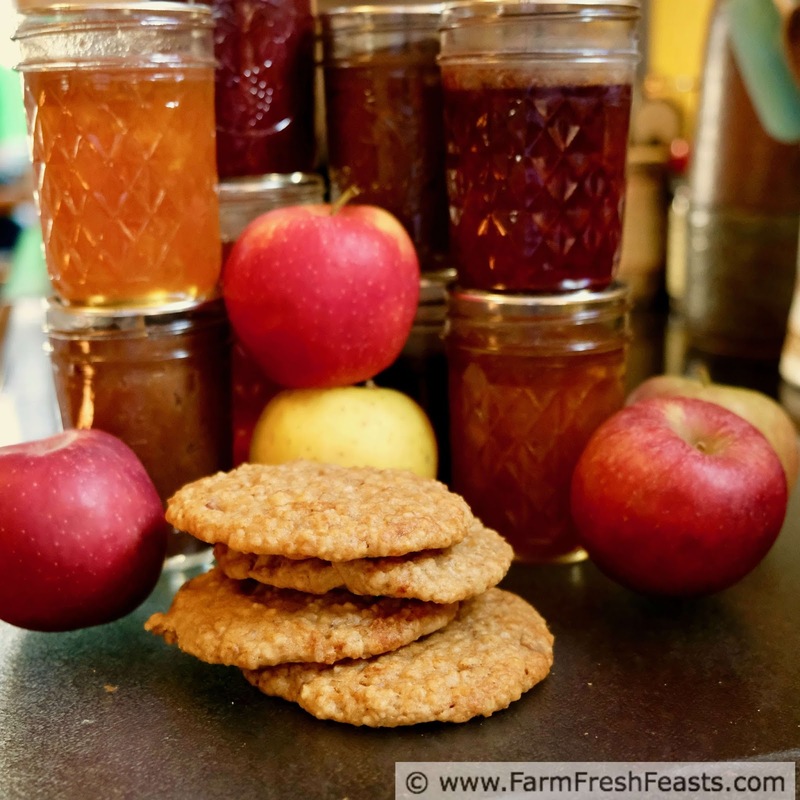 Since I cook and bake using the ingredients from my Community Supported Agriculture (CSA) farm share, I've got local apples and my "cook's portion" of Slow Cooker Apple Butter in the fridge. I decided to #usethedamnjamalready and make an apple butter flavored muffin top with chopped apples for grins and giggles. For more grins and giggles, turn up the volume and check out the outtakes from the Facebook teaser video! We ate these for breakfast. I took some (batter) to work and baked it there to share warm muffins with my coworkers. The kids grabbed some as after school snacks. And, when I picked up my girl after a busy Black Friday weekend closing shift at a local fabric and craft store, she ate these along with a glass of milk on the ride home. These muffin tops are a good way to nurture through food. 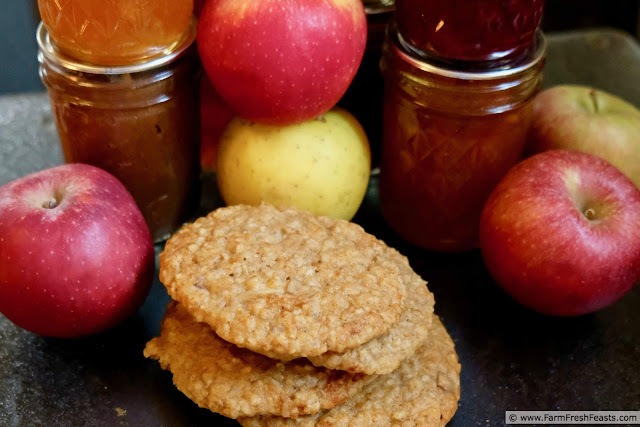 For more recipes using apples, apple butter, or apple cider please see my Apple Recipes Collection. It's part of the Visual Recipe Index by Ingredient, a resource for folks like me eating from the farm share, the farmer's market, the garden, the neighbor's garden, and great deals on ugly produce at the grocery store. For my 2nd batch I ran out of the Cook's Portion of apple butter and used half apple butter and half peach jam. Note: I store the oat/buttermilk mixture in wide mouth pint jars in the fridge. I make up several jars at a time and use them throughout the week. After baking, it's important to cool these off the parchment paper, otherwise the bottoms will be rubbery. Still edible, of course, but the texture is much better if you transfer to a cooling rack as instructed. 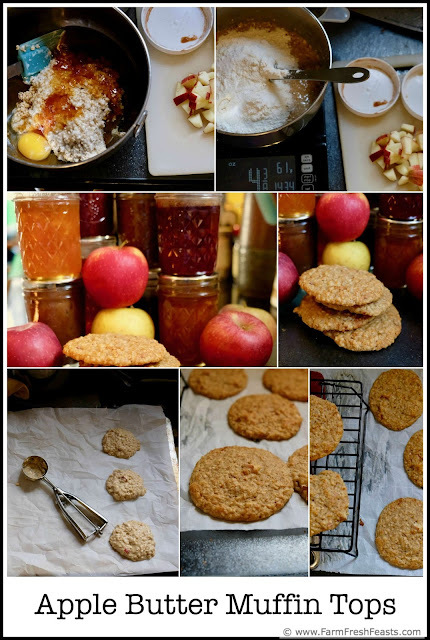 At least 1 hour before baking (or up to several days before) combine oats and buttermilk. When you're ready to bake, preheat the oven to 350 degrees Fahrenheit and line a cookie sheet with parchment paper (yes, this is necessary, trust me). In a large bowl, add the apple butter, cooking oil, egg and vanilla to the soaked oats. Mix well. Dump the dry ingredients (everything else except the apples) on top and stir a couple of times. Add the apples and stir until just combined. Scoop (using a large (3 Tablespoon) scoop onto prepared sheet, spacing 3-4 inches apart as these will spread. Bake for 15 minutes. Cool on the sheet for 3 minutes, then--and this is important--remove from parchment and cool on a rack. Here's what we're baking up today! 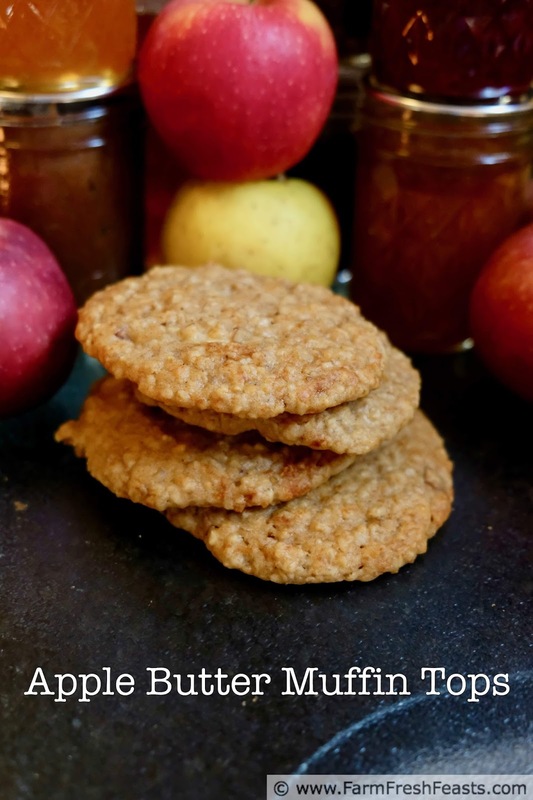 I need to make these -- muffin tops and apple butter are two of my daughter's faves so she would eat them up! Scheduled for all my social media! The world did not end. What if we all took more chances? I love that you did this month, Kirsten! How awesome that you tried this! And what a nice co-worker you are! Muffin tops! You are a genius.